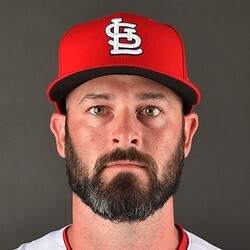 Mike Hauschild's first MLB start was short lived. In 2 1/3 innings, Hauschild gave up three hits and three walks for four earned runs while failing to record a strikeout. Hauschild has made two appearances this season, and has an ERA of 4.32, and a WHIP of 1.32. Though the sample size (8 1/3 innings) is small right now, Hauschild is not fantasy relevant at this time.